Regardless of your view on the Dakota Access Pipeline (DAPL), I hope we all can agree that the standoff and violence that occurred near Standing Rock should never have happened. We must learn from this tragic event. In that regard, I ask you to investigate the actions of the National Sheriffs’ Association and its role in doing opposition research against water protectors and its ties and coordination with TigerSwan, the private security firm hired by Energy Transfer Partners to protect DAPL. This should include a review of the rationale and appropriateness of the law enforcement tactics used. 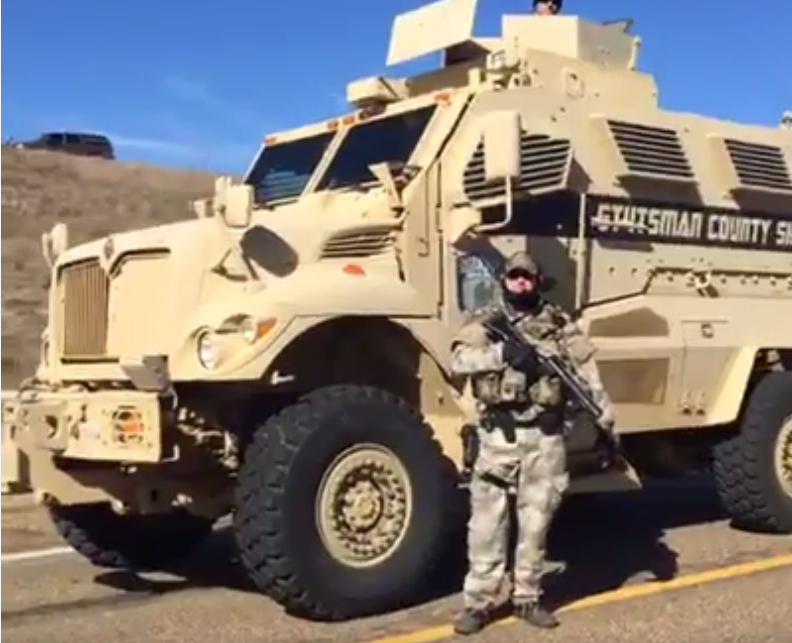 Screen capture of 2016 video showing the heavily militarized response to water protectors. This is a national issue. Law enforcement from several states — including Minnesota — were deployed to Morton County, North Dakota through mutual assistance agreements. What are the lessons these law enforcement agents will take back to their home communities? How will we respond if and when that happens? We need a thorough review of law enforcement’s response at Standing Rock so that we don’t repeat the mistakes that were made.